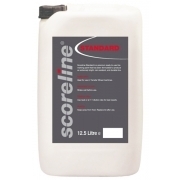 Scoreline offers the ultimate range of quality line-marking paints in both performance and reliability. Each grade of paint is specified and manufactured to an exceptionally demanding standard to ensure unrivaled clarity and durability of line. 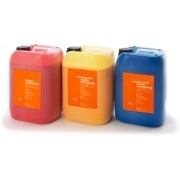 This range of paints has been developed to give an extremely bright and weather-resistant line. It has been a favorite for many prestigious sporting venues and offers the ultimate in duration of line, whilst retaining its extremely bright characteristics.